1. Use nylon pantyhose or a long strip of material. 2. Place the strip of material on top of the dog's nose. 3. Loop the material under the dog's chin and tie it into a knot or bow. 4.Bring the ends of the material back behind the dog's ears, and tie into a knot or bow. 5.Avoid tying the knot or bow too tightly. 6.Use a muzzle only for a few minutes at a time; never leave it on for an extended period. 7.Consult your veterinarian about whether it's appropriate to buy your dog a commercial muzzle, such as a basket muzzle. Ask what type of muzzle is recommended for your pet. Muzzles are used to reduce the risk a dog poses to people and other animals by restricting the dog's ability to bite. They are commonly used by veterinarians and animal care staff concerned with handling or treating frightened, injured or distressed dogs, as well as anyone managing - or introducing - dogs that may be aggressive to people or other animals. Some municipal bylaws or provincial legislation, such as Ontario's Dog Owners' Liability Act, may require your dog to be muzzled when off your property, or on your property in an unsecured area. Below are some tips to help guide you as you select a muzzle and present it to your pet. 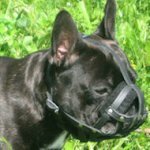 How you introduce a muzzle to your dog can have a significant impact on how quickly he is able to accept wearing it calmly. If your dog is already struggling with wearing a muzzle try incorporating some of the training pointers to help him learn to adjust. 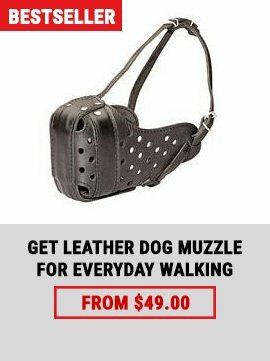 It is important to purchase a muzzle that allows for normal breathing, panting and drinking. 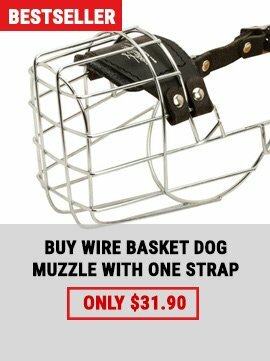 Basket style muzzles, such as the one pictured below, are recommended by the Ontario SPCA because they allow your pet to be comfortable during regular outdoor activity - however, no muzzle should be worn for a long period of time. 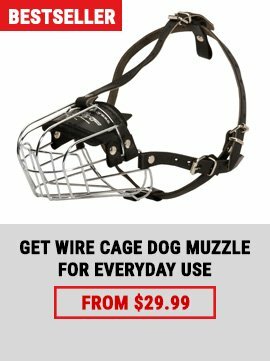 The Ontario SPCA does not regard alternative styles of muzzles as appropriate because they restrict the dog's ability to pant, trapping heat inside the dog's body, and prevent the dog from being able to drink water - increasing the dog's vulnerability to overheating and heatstroke.